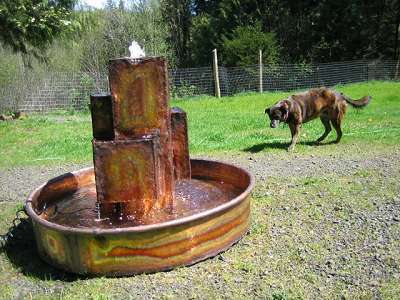 This is a fountain that I made for Tyler and Margot Baker of Carmel, California. 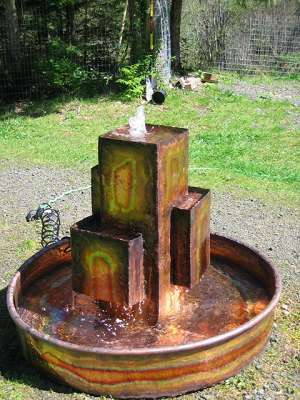 The Bakers came to me after seeing my website and feeling that I was the right person to make them a special fountain. 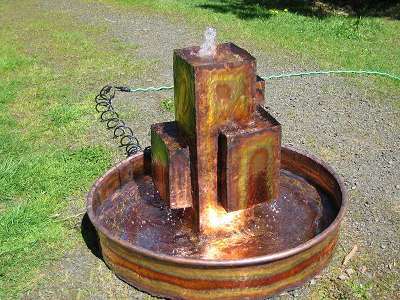 We took the time together to devise a fountain based on a synthesis of my Metropolis designs. Basically we took the shape of the original 4’ high Metropolis and scaled it down. 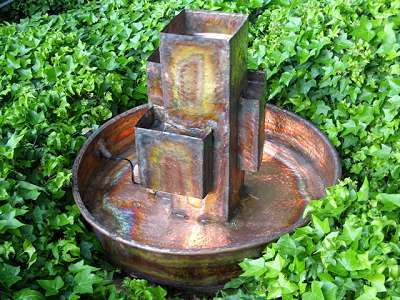 We then put it in a circular basin with a wide low profile. 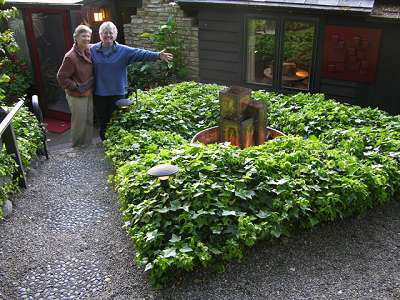 It was great study in how the shapes can interplay almost like children’s building blocks. And the Bakers seem quite pleased with the effect.